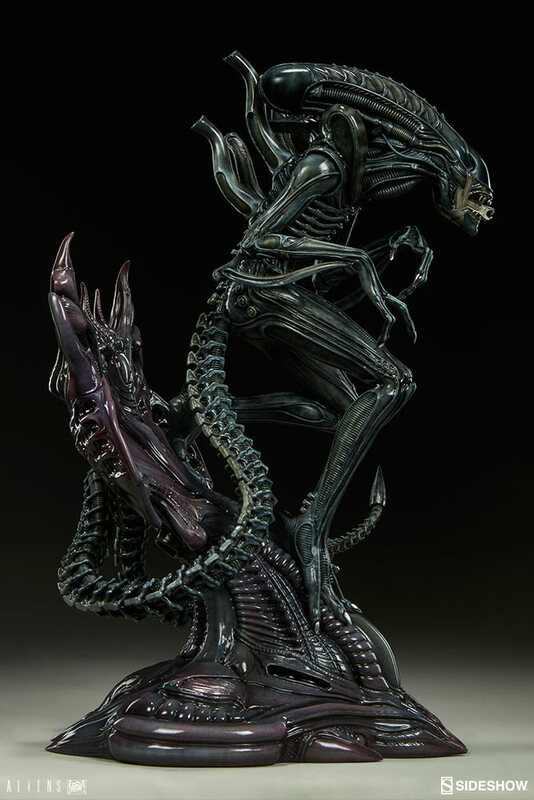 Capturing this iconic movie creature in all of its terrifying glory, Sideshow is proud to present the Alien Warrior Statue. 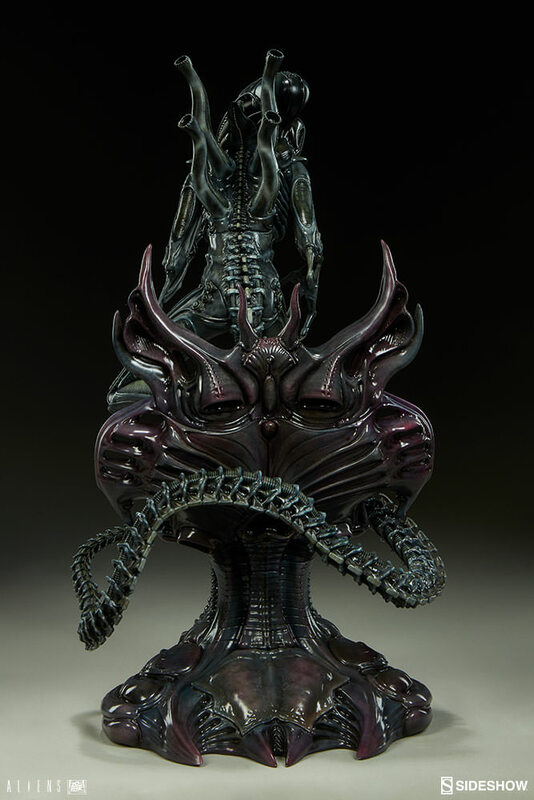 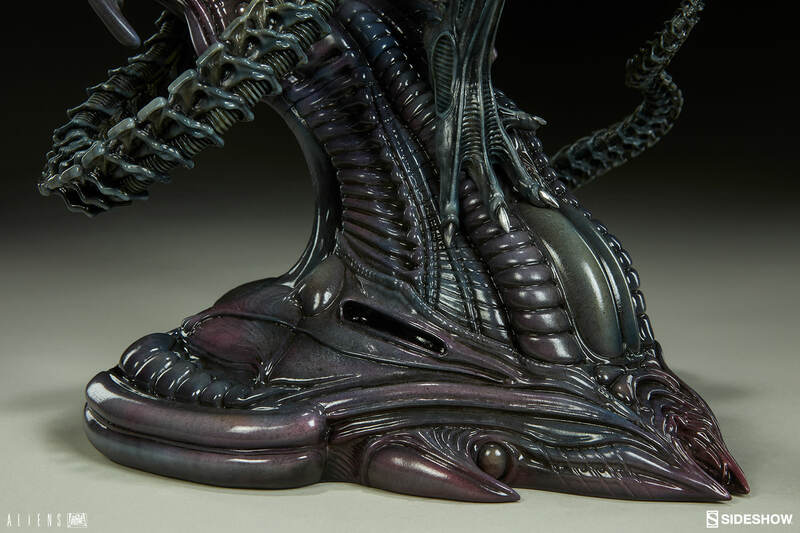 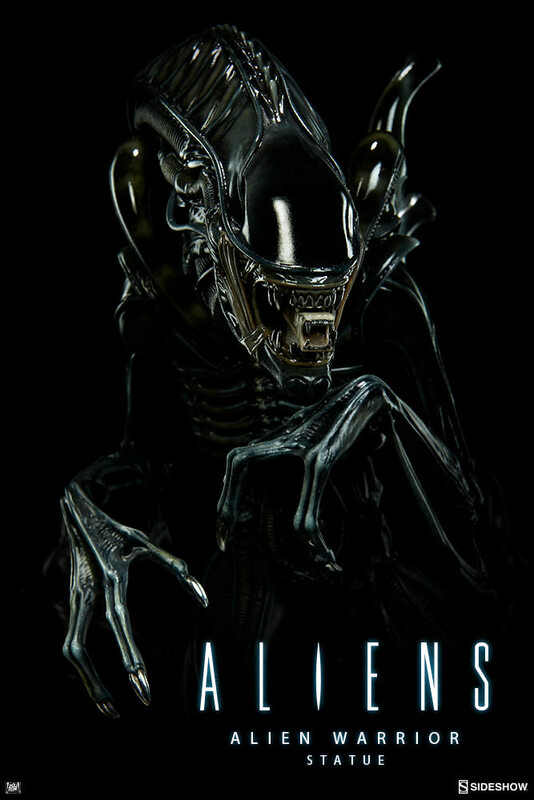 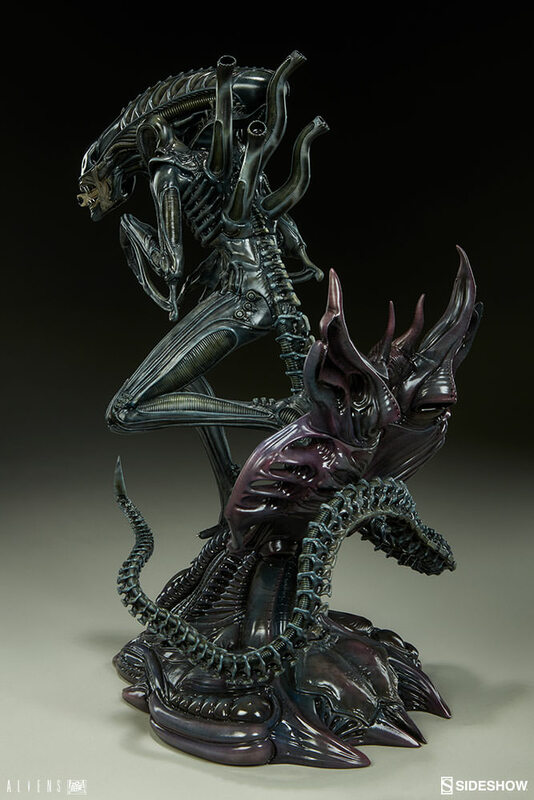 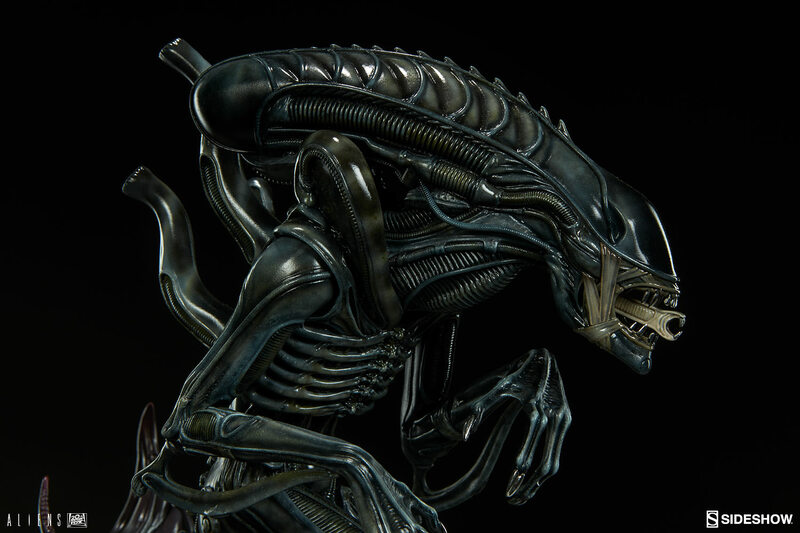 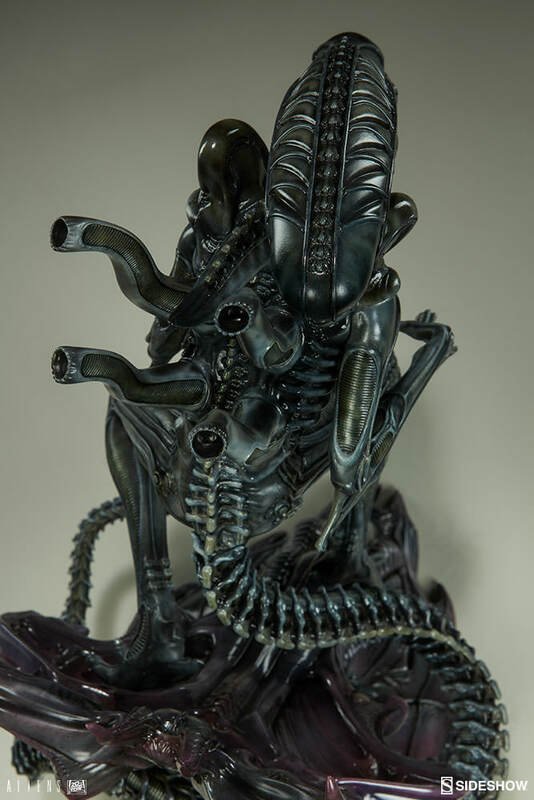 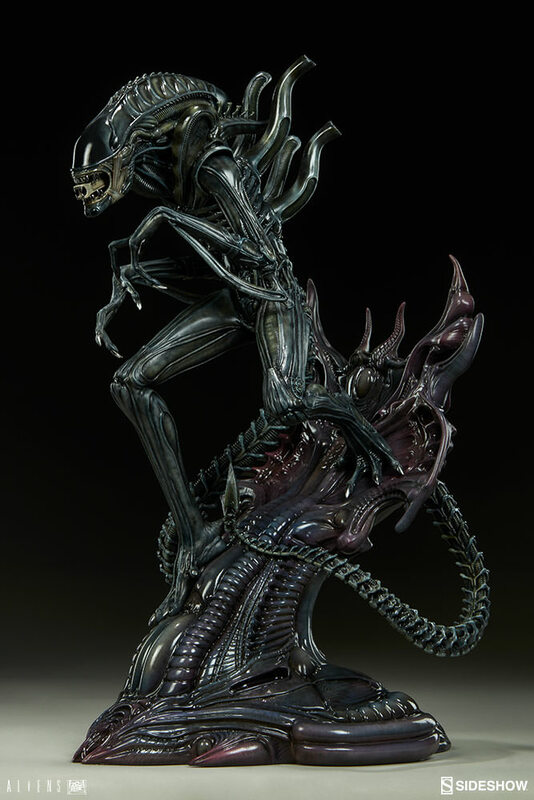 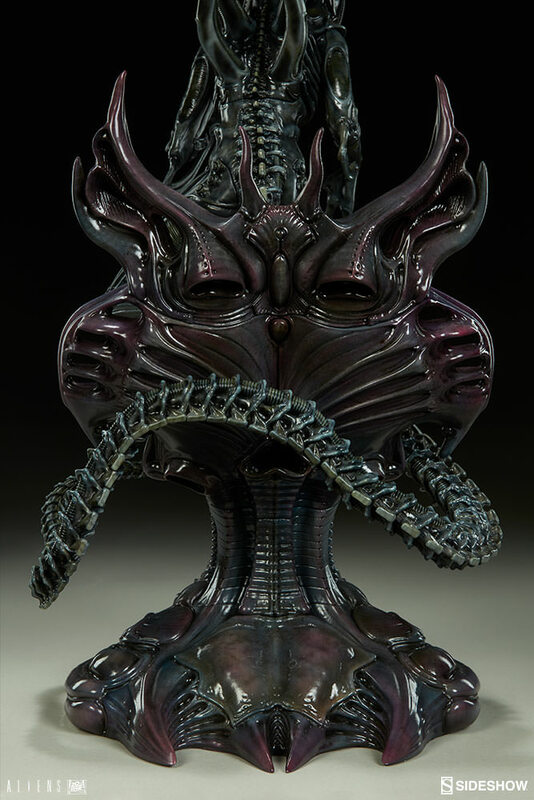 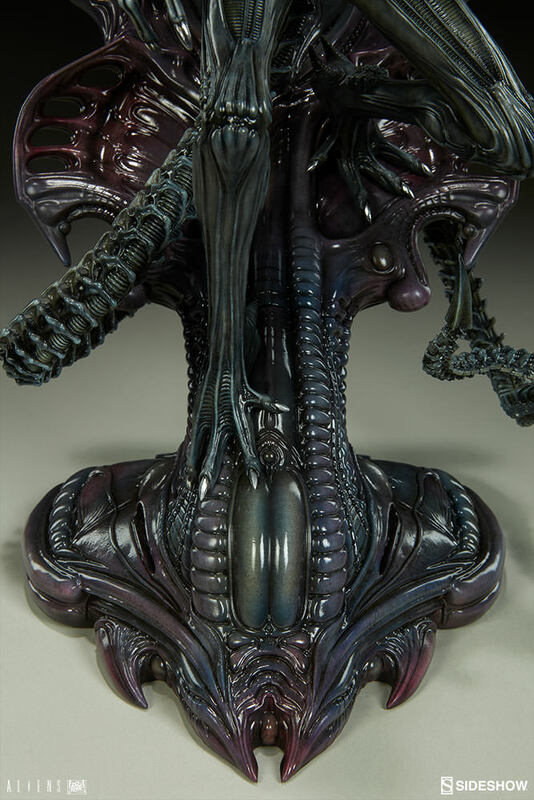 Based on the creature’s famous appearance in Aliens, this fearsome member of the xenomorph species stalks along a stylized base representing the Alien environment from the film. 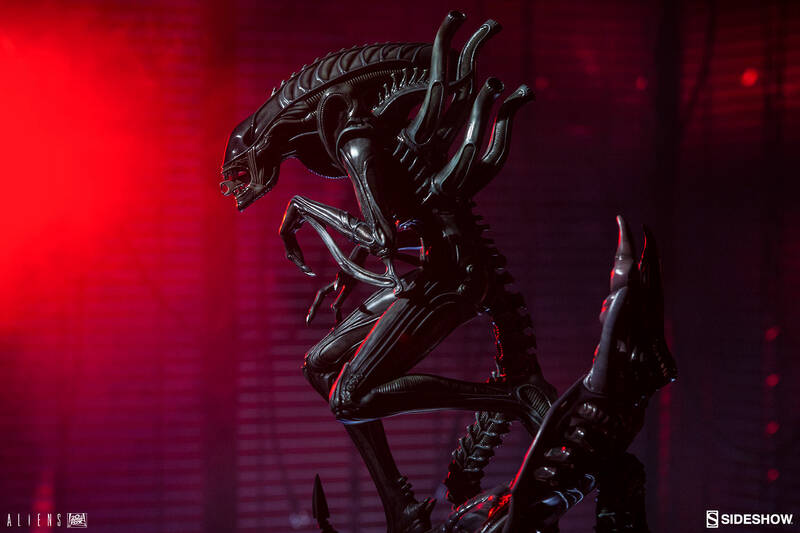 Standing over 17” tall, the Alien Warrior prepares to menace unwitting colonists who dare to land in its territory. 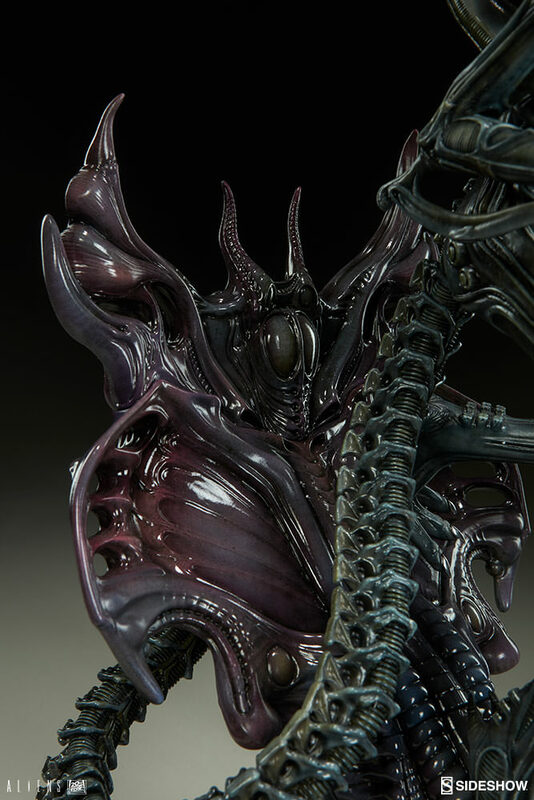 The Alien Warrior is faithfully rendered with H.R. 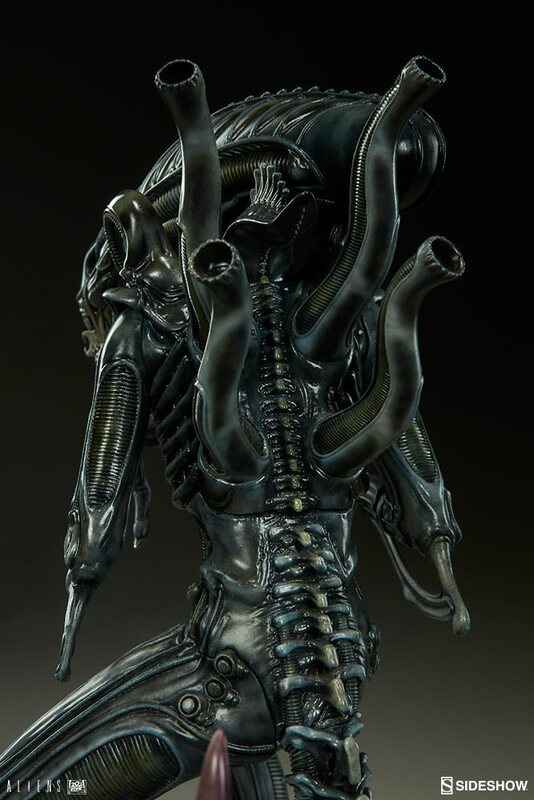 Giger’s visionary bio-industrial aesthetic, with an incredibly detailed exoskeleton and sinewy, segmented limbs. 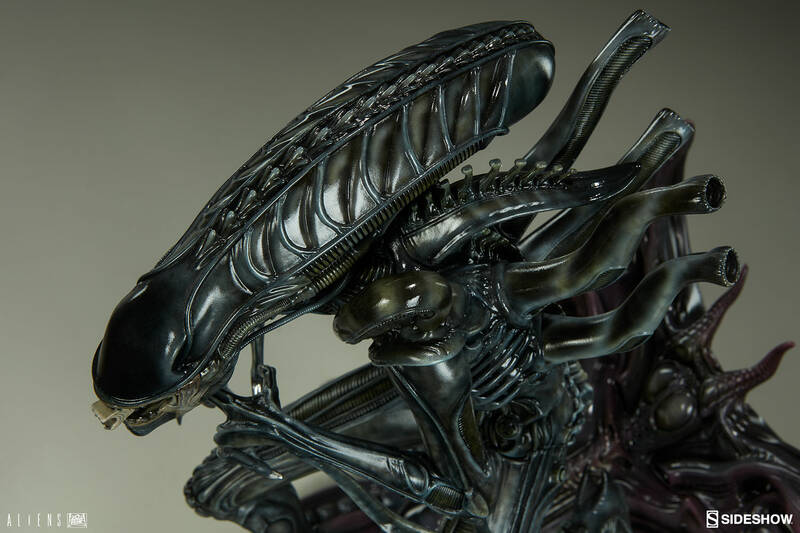 Its body is designed with a variety of complex textures, including its ridged headpiece made famous through its appearance in this film. 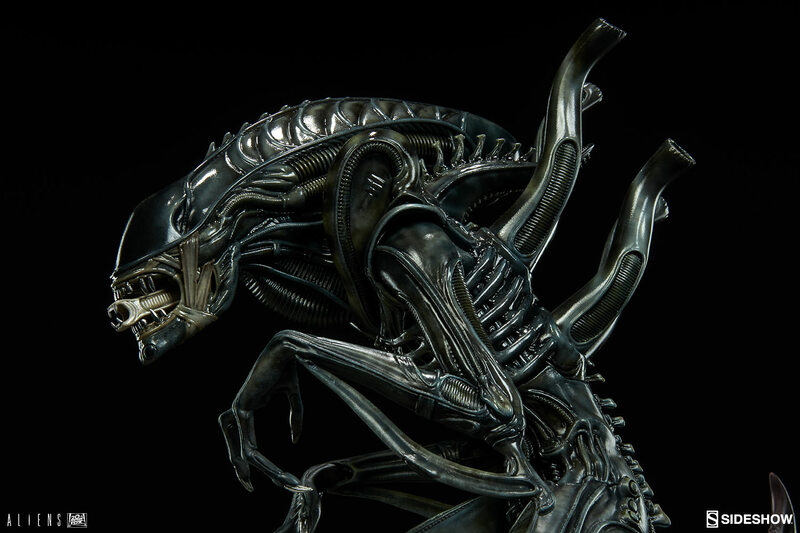 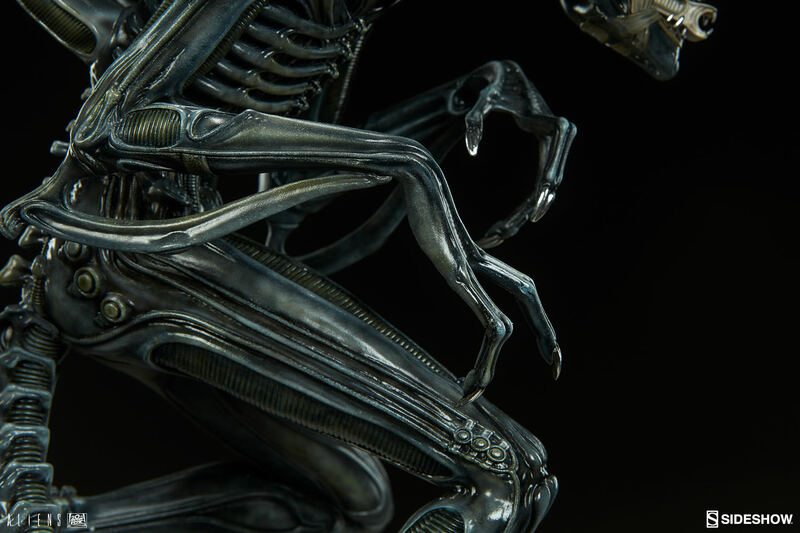 The xenomorph’s iconic inner jaw can be seen emerging as a part of its frightening portrait. 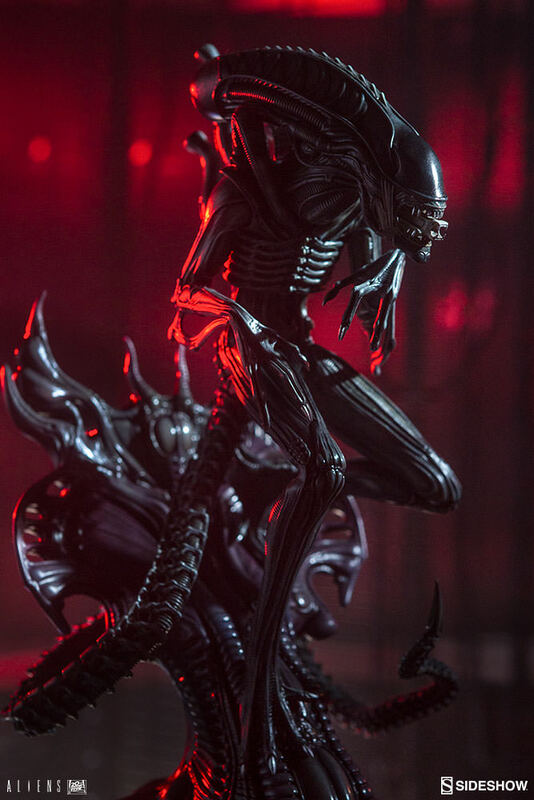 It takes a hunting, prowling stance as it creeps forward to attack its prey, while its barbed tail coils around the base with a ghastly elegance. 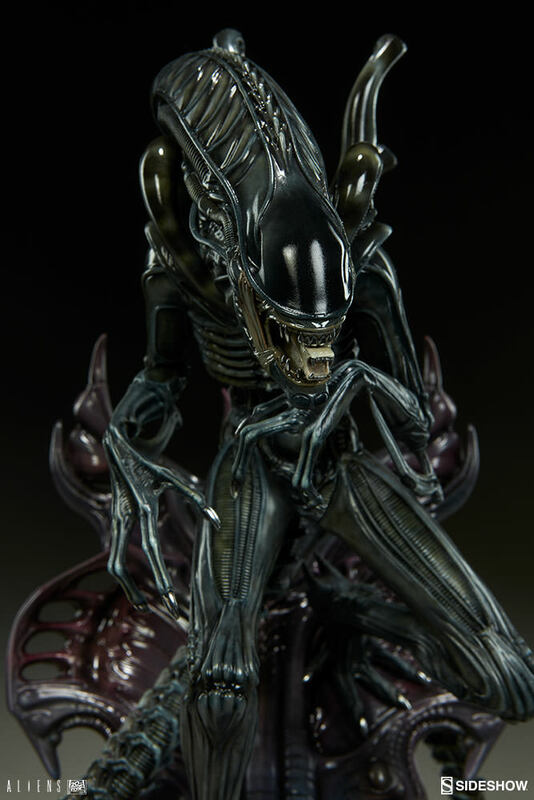 You can almost hear its horrible hissing as it anticipates its next kill. 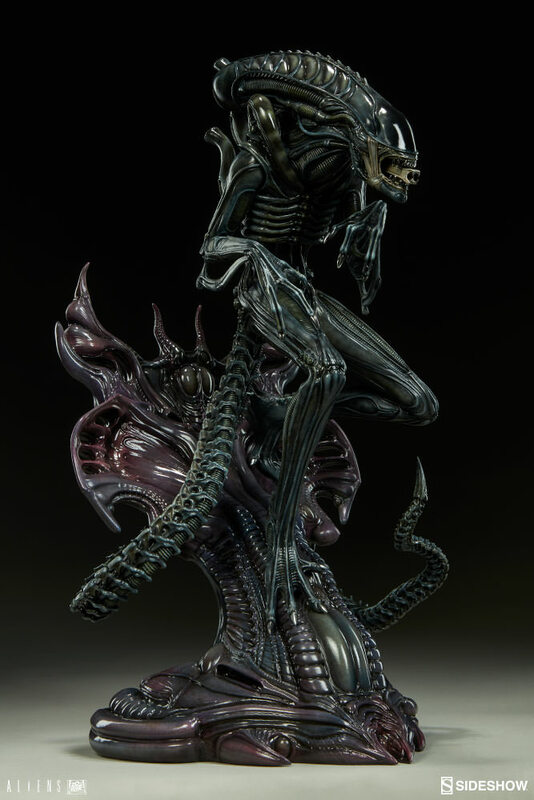 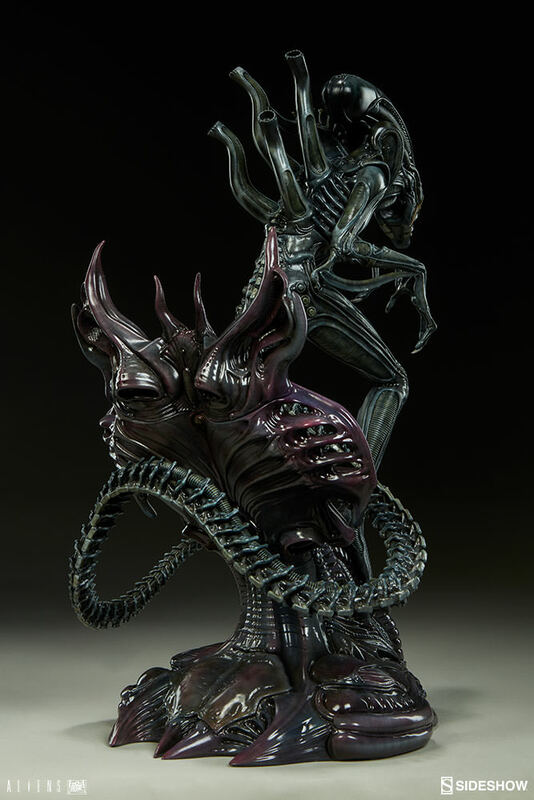 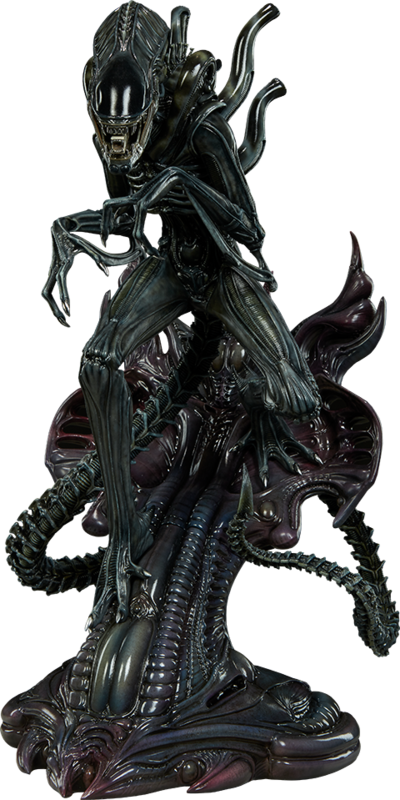 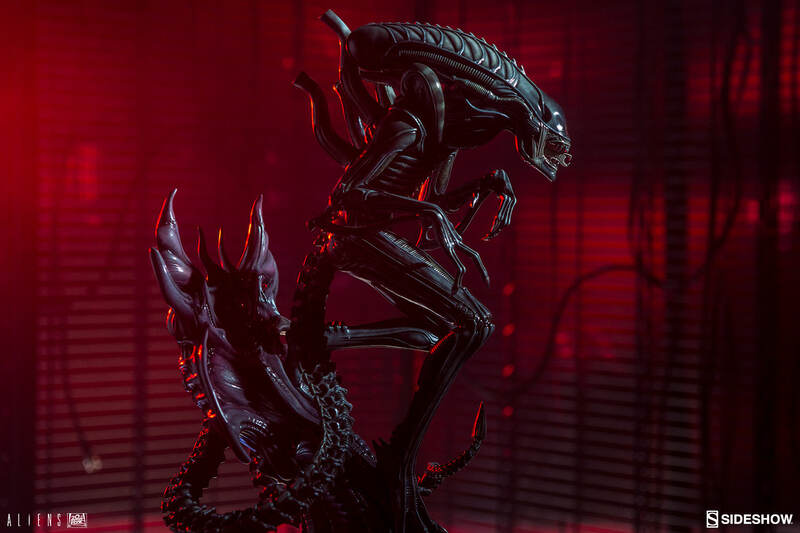 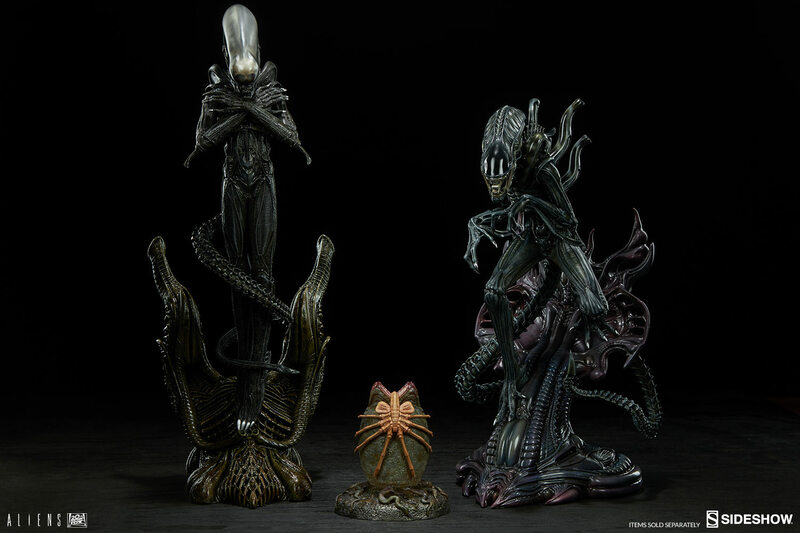 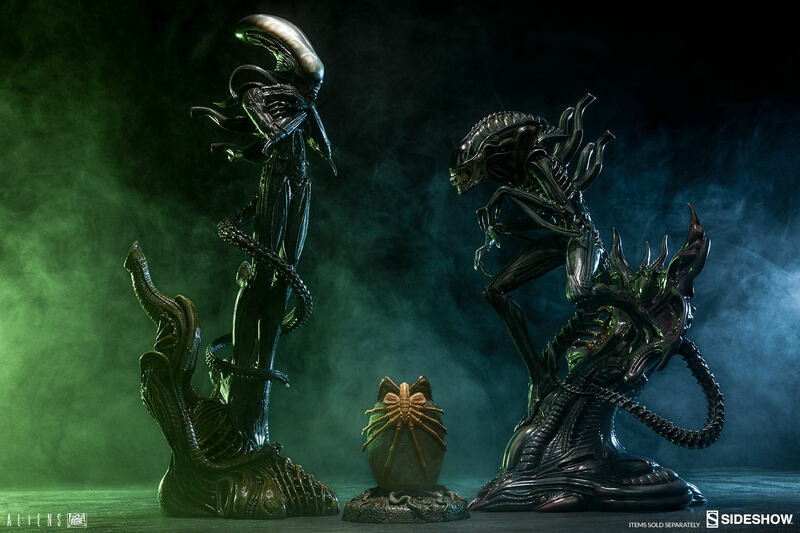 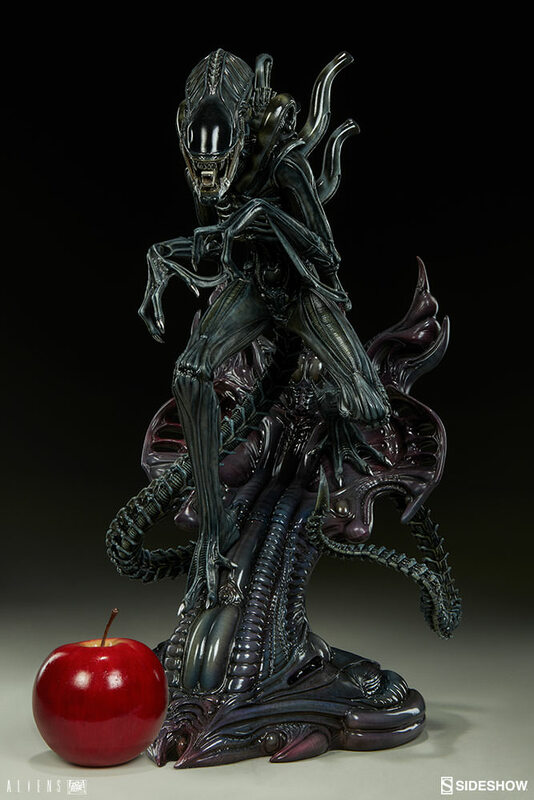 The Alien Warrior Statue has been designed to compliment the Alien Internecivus Raptus statue, and together with the Alien Egg Statue, these xenomorphs make an engaging display straight from the planet LV-426.